Traverse City – a classic vacation destination on the banks of Lake Michigan that was struggling to accurately portray its offerings to prospective visitors. At issue was its vast and varied geographic footprint and disparate range of offerings, from urban to rural, exciting to laid-back, sophisticated to simple, and indoors to outside. 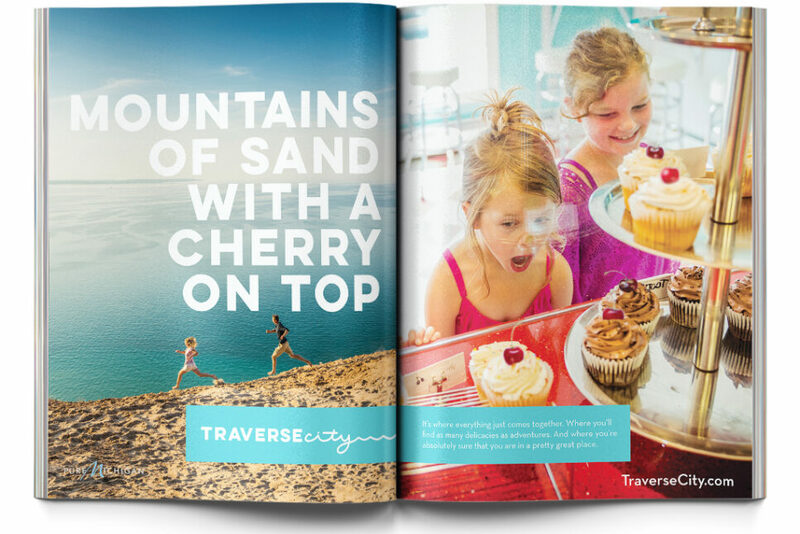 MMGY was commissioned to craft a strategic position that could clearly articulate Traverse City’s unique experience while setting it apart from a long list of other vacation spots in the Great Lakes area. The team found Traverse City a special place that seamlessly “brought good things together” – experiences, traveling parties, guests or even Traverse City folks themselves – in a way that just felt right. And this city put its visitors in “a pretty great place” not just physically but, more importantly, mentally, emotionally and spiritually. 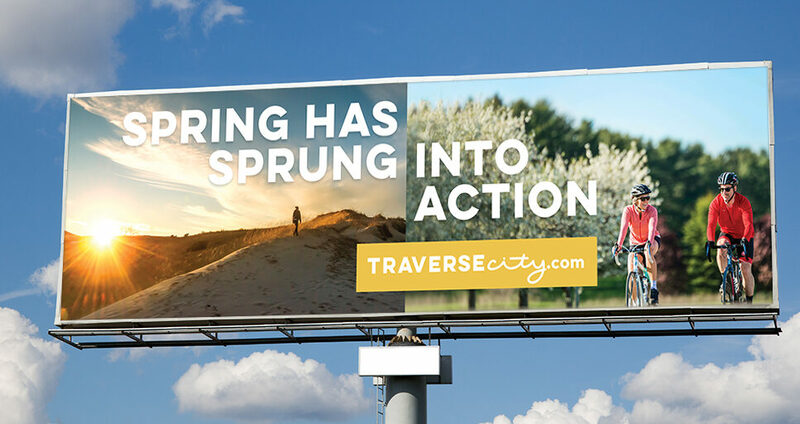 That foundational idea led to the “You’re in a Pretty Great Place” creative campaign, consisting of print, out-of-home, transit and digital display executions, and ushered in a fresh new look and feel for the Traverse City brand. 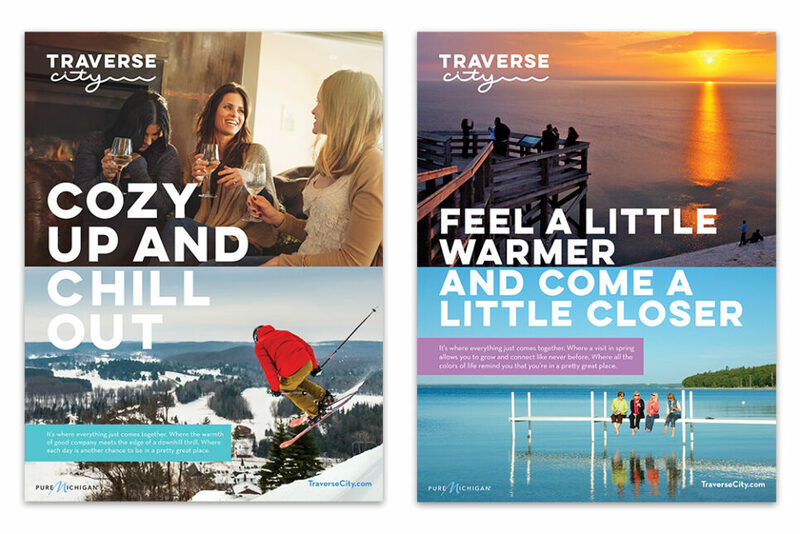 The campaign features headlines that employ clever word play that bring together two seemingly dichotomous experiences in a way that only Traverse City could deliver.